We handle the hardware, software, backups, hosting, databases, web servers and security - all the things that take up time and money. Find information quickly:Enter specified search parameters and information appears instantly. Developed in collaboration with schools that requested an easy to use system to simplify staff management processes and meet departmental requirements. EMS 360 offers the most efficient, user-friendly and cost-effective online staff management solution on the market today. EMS 360 is a comprehensive and easy-to-use paperless process that is available 24/7. When we say "applications" we are referring to any application or software system that is owned by Education Management Solutions (EMS or "we") including, but not limited to EMS 360. References to "customer" or "client" and the like, refer to you, the school or business using our applications. Our privacy assurance to you. We publish this Privacy Statement to demonstrate our commitment to the privacy of users of our applications and to provide a clear and concise outline of how and when personal information is collected, stored and distributed. There are two types of information collected for use by our applications; identifying personal details such as email address and first/last name, and personal information provided by users through the use of our applications. Personal details for each staff member are usually collected from the CASES database - the software component of the Computerised Administrative System Environment in Schools. These details are used for administrative purposes to configure our applications and are usually provided directly by schools. 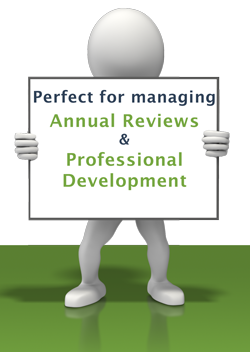 Information provided by users regarding their staff reviews and professional development is available only to permitted staff within their employment organization. This information is used solely for the purpose for which it is intended; professional development and staff review processes. We provide a very high level of security when you use our applications including 256 byte SSL encryption. We have physical, electronic and procedural safeguards to protect your information which is held by us. For example, your personal information is stored in secured office premises, in electronic databases requiring logins and passwords for access and/or at one or more secured data centers. Access to information stored electronically is restricted to staff whose job purpose requires access. We require all our employees to maintain the confidentiality of customer information and all employees sign and agree to strict confidentiality clauses in employment contracts. Personal details and information collected by our applications will at no time be distributed to any parties other than supervisors and administrators. Cookies are an essential part of how our sites works. 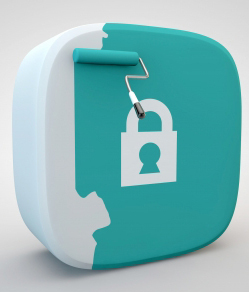 We have physical, electronic and procedural safeguards in place to protect your information. For example, your personal information is stored in secured office premises, in electronic databases requiring logins and passwords for access and/or at one or more secured data centers. Access to information stored electronically is restricted to staff whose job purpose requires access. We require all EMS/Gieman IT Solutions employees to maintain the confidentiality of customer information and all employees sign and agree to strict confidentiality clauses in employment contracts. 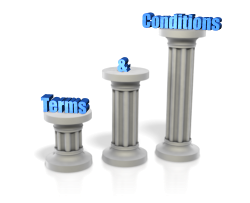 If you are using our applications it is understood that you have agreed to the terms and conditions set forth on this page. You will be billed once a quarter for all active users of our applications at a fee dependent on your usage per quarter (March, June, September and December). We will bill you during the 3rd month of each quarter for the full quarterly subscription fee. You will be billed retrospectively for each quarter with your first invoiced quarter billed on a pro-rata basis dependent on the number of completed months of usage. You may cancel your service at any time by contacting Education Management Solutions in writing or in electronic form. You will then be billed for any full months of usage since your last invoice. In this situation it is up to each individual school to inform their staff of the decision to stop using our services. Each staff member will then be responsible for saving their data in an appropriate format for future use (e.g. digital reports in pdf or excel format). Education Management Solutions and Gieman IT Solutions will not be responsible for extracting, storing or reporting of school data. Your access to our services will remain enabled until the end of the cancellation invoice period. After this time it will no longer be possible to use our services and all school data will remain archived until the next purging cycle. It may be possible to extract school data from canceled services for a short period of time but this will incur a processing fee and can not be relied upon due to the purging cycle. If you are not 100% happy with any of our applications you can cancel your service at no fee costs within the first 6 weeks of usage as outlined in the previous section. There will be no refund for setup and training costs. Our applications remain the property of Education Management Solutions at all times. The coding, programming and intellectual property that created our applications is copyright and must not be reproduced in any form, including, but not restricted to, for demonstration purposes, without the permission of Education Management Solutions. Customers do not own our applications, nor do they have any intellectual rights to our applications as a result of using them. Our applications are provided as a fee paying service. If we believe, for any reason, that our applications are not being used in a manner expected of an Education Management Solutions customer then we reserve the right to terminate your access effective immediately. 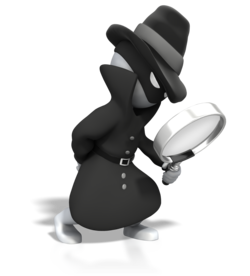 Your privacy is important to us and we will never sell, lease or distribute client details to any 3rd party. We will only reveal data pertaining to your account if compelled to do so by law. Education Management Solutions reserves the right to view staff content as necessary for support services, but access to information stored electronically is restricted to EMS or Gieman IT Solutions staff whose job purpose requires access. All EMS and Gieman IT Solutions staff are contractually required to safeguard your information. EMS uses your application email address and contact details to operate our business and to help us improve your experience. We may, for example, contact you by email or phone to tell you about the products and services that are available to you (for example, training sessions) or to inform you of new products. We make significant efforts to ensure that our applications and all of our services are online 24x7 every day of the year. However, this will not always be the case. There are times when our applications will be down, sometimes for things that we can't control (for example, network outages) and others that we can (for example, new releases, updates and system maintenance). When our application services are offline we will do our best to get them online as soon as possible. We will not be held responsible for damage, events or losses directly or indirectly related to our services being offline. Although we endeavour to provide at least 99.9% uptime for our applications, if for any reason we do not reach this target during any quarter, we will not offer compensation. We believe that our system is highly secure from the actions of hackers, viruses and other problems on the internet but can make no guarantees. It is up to individual application users to ensure backups of files uploaded into our applications and to ensure regular digital backups of reports and work. We will not be held liable for any action or inaction relating to our service. This website is governed by the laws of the state of Victoria, Australia. Any dispute arising from the use of this website will be settled in this jurisdiction. Powered by Gieman IT Solutions. Copyright © 2018 All Rights Reserved.